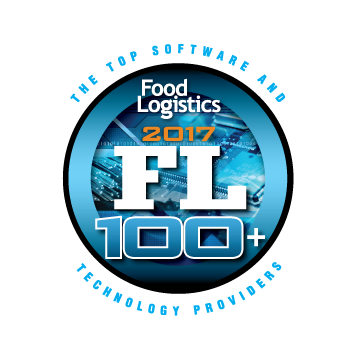 Holland, MI – December 18, 2017 – Food Logistics, the publication exclusively dedicated to covering the movement of product through the global food supply chain, has named BluJay Solutions to its 2017 FL100+ Top Software and Technology Providers list. BluJay Solutions is a leading provider of supply chain software and services powered by the world’s first Global Trade Network. Among BluJay’s 7,500+ customers are hundreds of companies in the Food and Beverage industry, a key market of the technology provider for decades. BluJay’s Global Trade Network and ecosystem of software solutions is designed to manage the Food and Beverage industry’s dynamic and challenging needs – from shelf life and temperature control, to catch weights, storage limitations and real-time visibility.